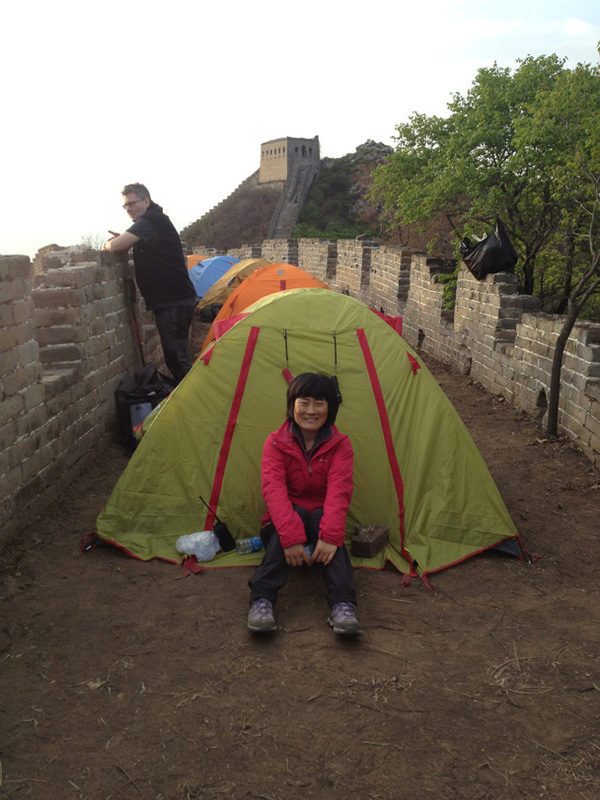 In Brief: Photos from a camping trip on a section of the Great Wall we call the Switchback Great Wall. 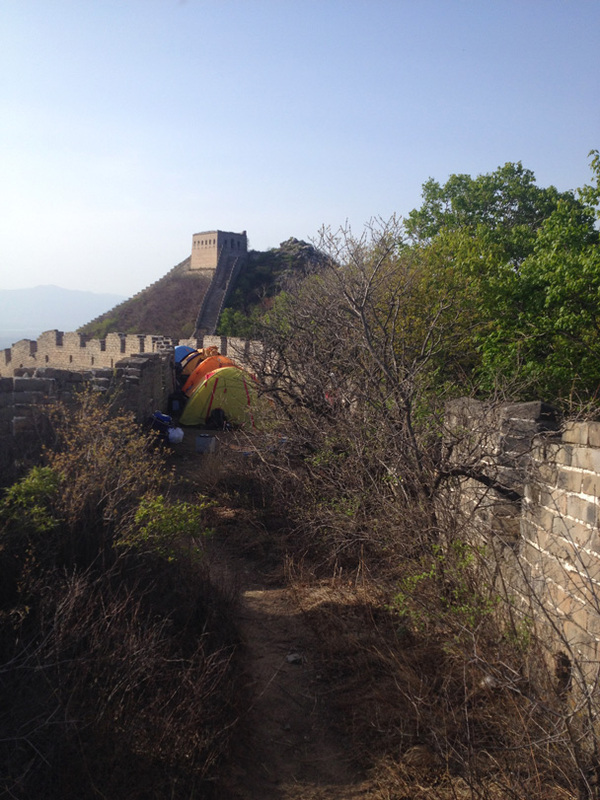 In late April we did a two-day trip on which we set up camp on an unrestored section of the Great Wall that we call the Switchback. We had good weather for this hike, with skies that were mostly sunny and clear. 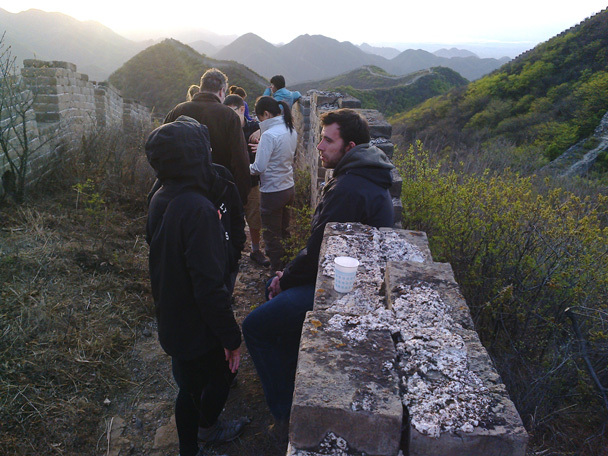 On the first day, we started out from a village and hiked up a dirt trail to the Great Wall. 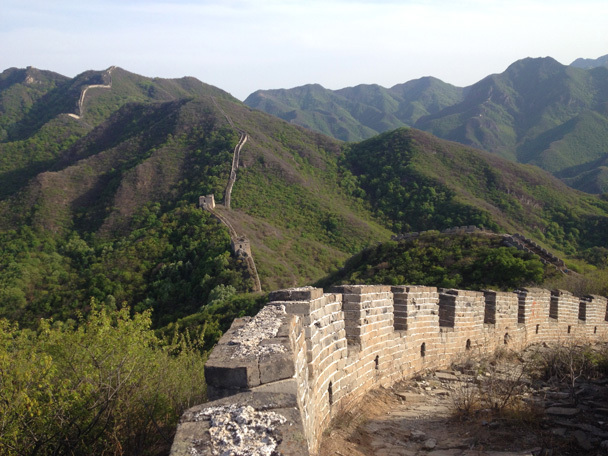 We followed the Great Wall up to and past the General’s Tower, the highest tower in the area, and one of the biggest. We stopped there for a while to enjoy the views, then hiked on to our campsite. After setting up camp we had time to relax, make dinner, and enjoy a beautiful sunset. 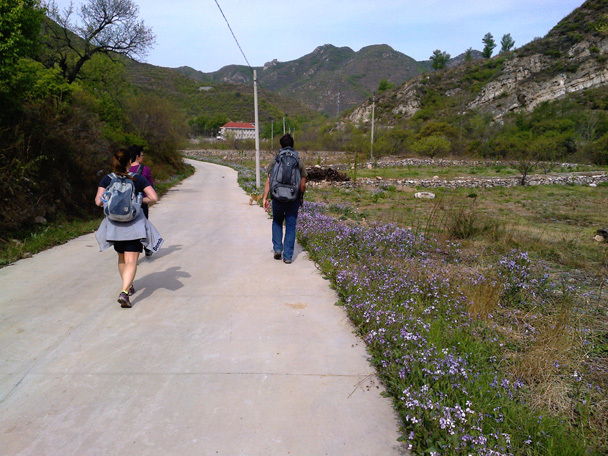 The next day we packed up and moved on, hiking further along the Great Wall before following a stone path down to finish our walk. Beautiful spring flowers were in bloom by the roadside as we set off on the hike. 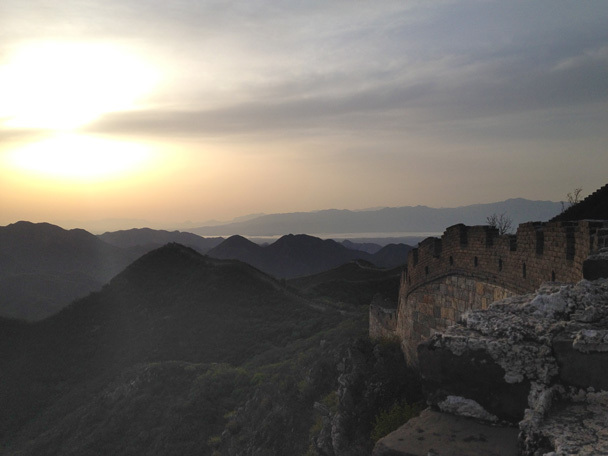 Here's the view of the Great Wall from where we first climbed up. 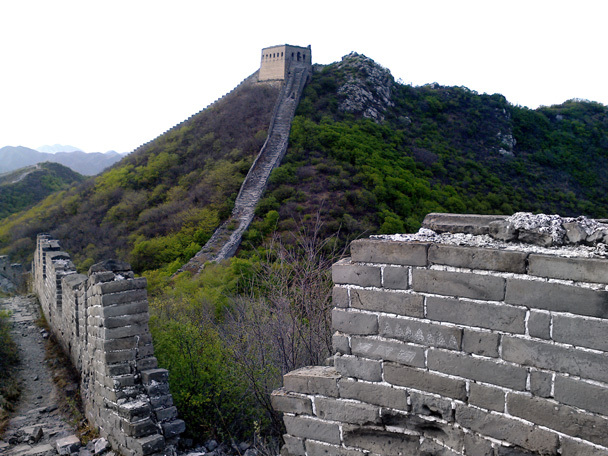 The big tower is the General’s Tower, the highest point of the hike on the first day. Hiking guide Tina has her tent all set up. Relaxing near the campsite before sundown. The sun starts to set beyond the reservoir on the horizon. 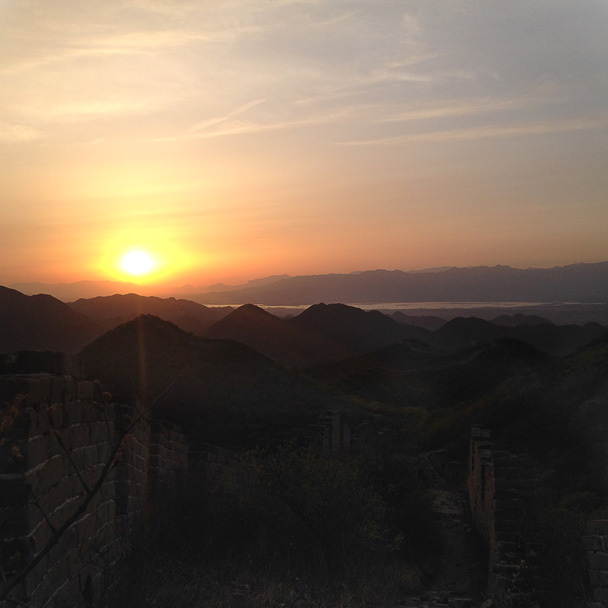 We watched the sun set from the Great Wall. 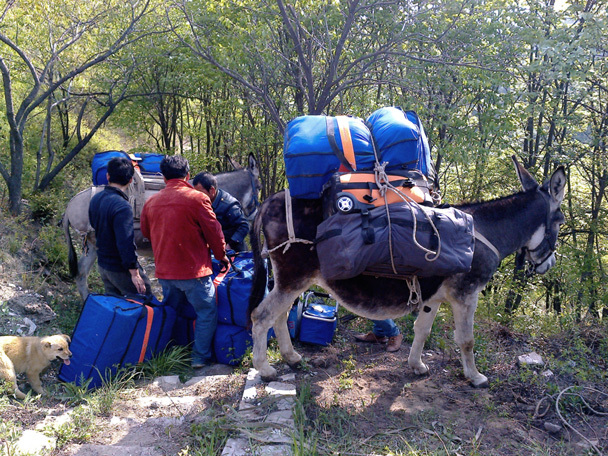 To make the camping trip a more relaxed affair, we asked our local friends to help organise delivery of tents to and from the campsite. Their little dog came for a look as well!